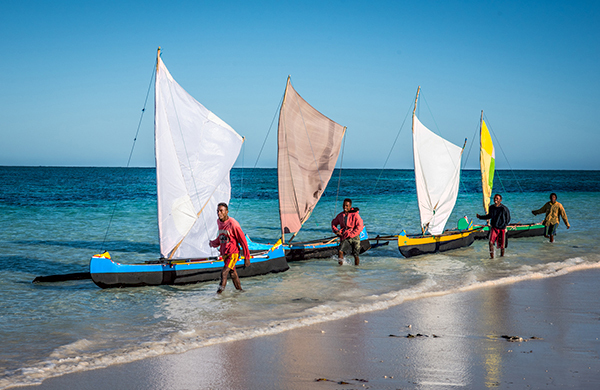 Madagascar Surf Camp - Befasy, Toliara Guests overall rating: ☆☆☆☆☆ 0 based on 0 reviews. Madagascar Surf Resort is in the remote South West of Madagascar…one of the last remaining surfing frontiers. 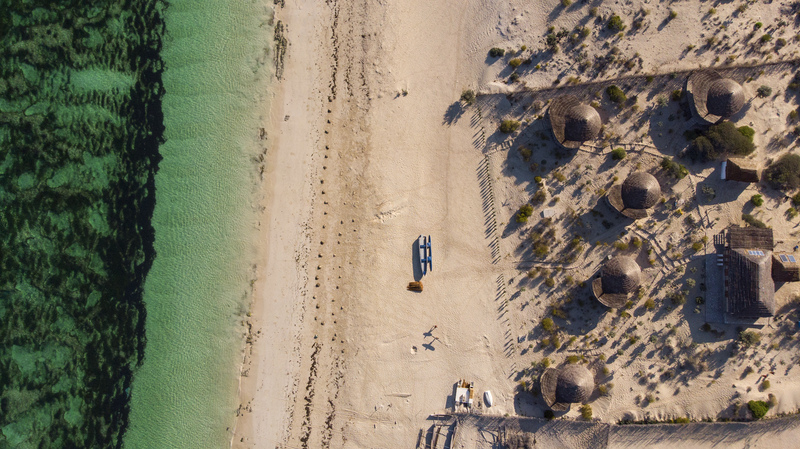 The Lodge is located at the north end of the remote beach village of Befasy, a few hours boat ride from the southern port of Toliara, or “City of the Sun”. The surf lodge offers direct access to a private beach and a variety of perfect waves on the outer reef to suit abilities from improvers to elite athletes, just 5 minutes by our boat. We have a large fully staffed communal restaurant / bar / chill out area perched on top of a hill providing breathtaking 360 degree views of the beach, the bush and the multiple surf line ups breaking on the outer reef. The lodge accommodates both surfers and non surfers, and can be also a perfect gateway for families and couples. For optimum experience, we run a policy of maximum 8 surfers at any time. We are open from May till September. Maximum of 8 surfers per period. The surf is for improvers and elite. We can provide also other tours and whale watching. Direct access to a private beach at the north end of the remote beach village of Befasy, a few hours boat ride from the southern port of Toliara, or “City of the Sun” everything that you will need we be provided ate Madagascar Surf Resort. Best bet would be to get yourself to Paris, Marseille, or Milan and then take one of the numerous companies that fly to Tana including Air Madagascar, Air France, and Corsair. In saying that however savings can be made by flying Air Mad as you will receive a 40% discount on the domestic leg to Tulear! Best bet is Air Mauritius from Sydney or Perth through to Antananarivo with a stopover in Mauritius on the way and direct connections on the return leg. Alternatively you can fly straight through to Johannesburg and then catch a flight through to Antananarivo. Direct flights to Tana depart from Johannesburg with South African Airways. Check out the new direct flights with Air Madagascar / Air Austral direct to Toliara from Saint-Denis. Other airlines that fly into Tana include Kenya Airways from Nairobi. Turkish Airlines also have a new flight from Istanbul which is very competively priced. Once you arrive in Antananarivo (Tana) you will need to get yourself down to Tulear where we are based.